The XC16 shouldn’t be grouped in with every other air conditioner. Featuring a two-stage cooling process that heightens your cooling experience, its components help give you more even temperatures and a more comfortable home. Not to mention it helps reduce your monthly utility bills. And everyone enjoys saving money, right? The difference is real. Experience the XC16. 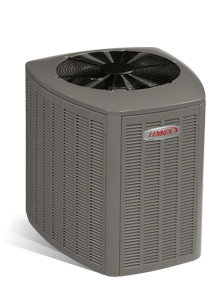 Ready to find out how the XC16 Air Conditioner can make your home more comfortable year round? Need help with a gas furnace repair or want to schedule a gas furnace maintenance visit? We can handle it all. Our staff is trained, experienced and ready to help. Make an appointment or call 740-594-8381 for Athens or 740-654-4328 for Lancaster now.